This multi purpose stool can be used all around the house to help in various activities. • Stool features a padded seat and back for added comfort. • Angled seat makes sitting down and getting up easy. • Comes with removable arm supports with adjustable width for added safety and comfort. 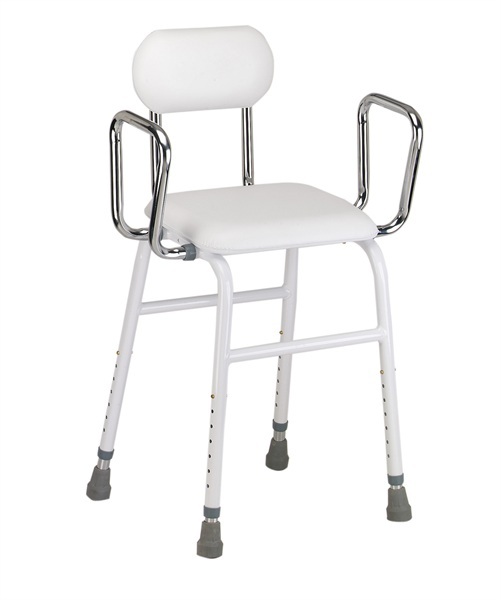 • Adjustable height to accommodate most individuals.